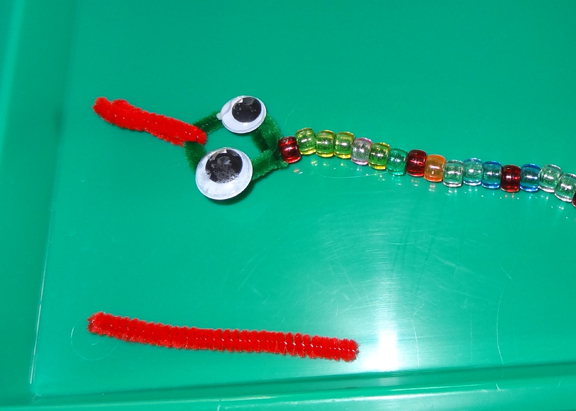 To get the kids started, I twisted the chenille stems into a diamond shape at the end in order to make the head of the snake (and also to make sure the beads didn’t fall off). 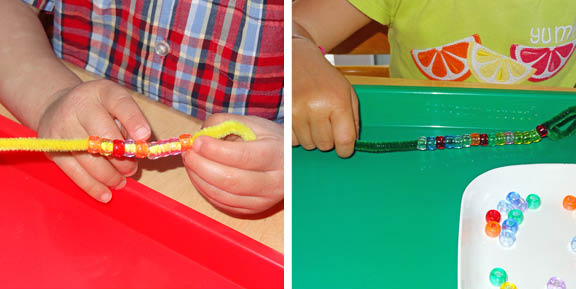 The kids got to work stringing beads into their snakes, providing a great opportunity for fine motor practice. Once they finished making the beaded body of the snake, I turned down the end of the tail to keep the beads from falling off. Then the kids added glue to the wiggle eyes. And they put the wiggle eyes on the heads of their snakes. We added a short segment of a red chenille stem to make the tongue. 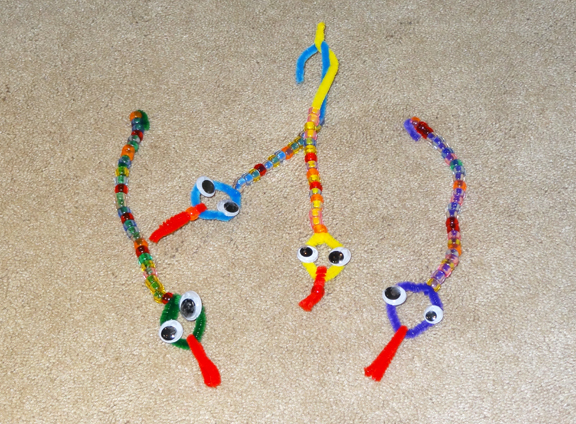 And in the end, the kids made four very cute snakes to play with! Thanks for linking up with Monday Kid Corner on The Jenny Evolution. I hope you’re getting messy with the kids and having fun. What a neat craft. I love pipecleaners and beads. 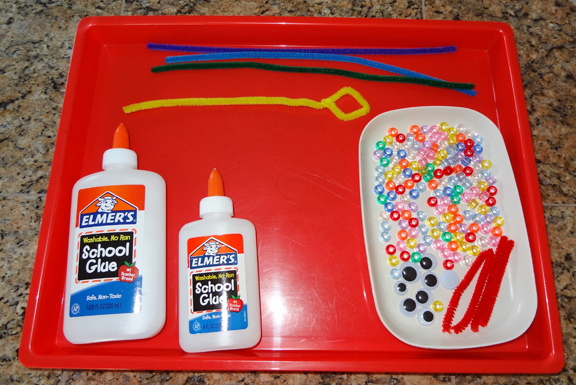 This was a super quick to prepare and mess free after school craft activity. The girls loved it and only stopped when we ran out of googly eyes. 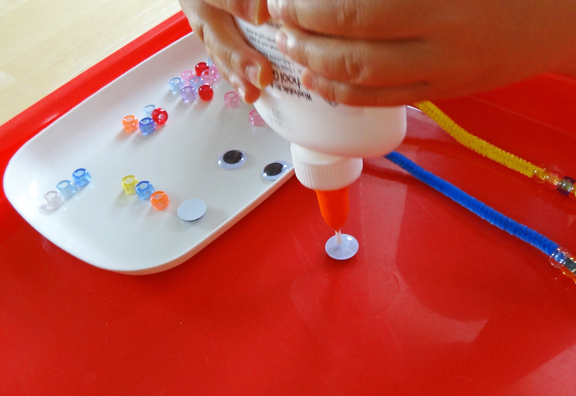 This is a great activity for fine motor skills. Thanks for sharing at Family Fun Friday! 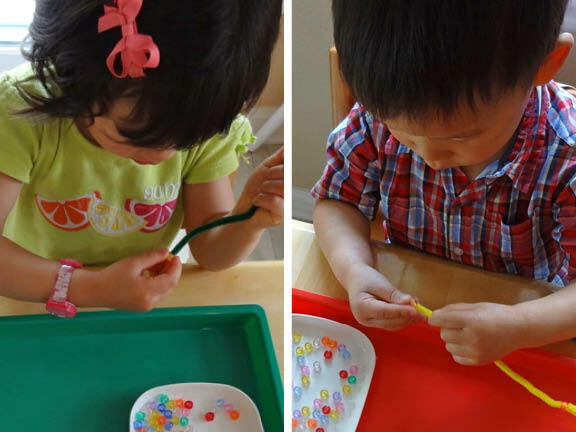 That’s a cute craft and great for fine motor skills. I like how you did it in conjunction with the Chinese New Year. LOL, I picked two of your links to feature without realizing for a while they both came from Gift of Curiosity! Anyway, I’m featuring this one tonight too! See ya later, Katie! 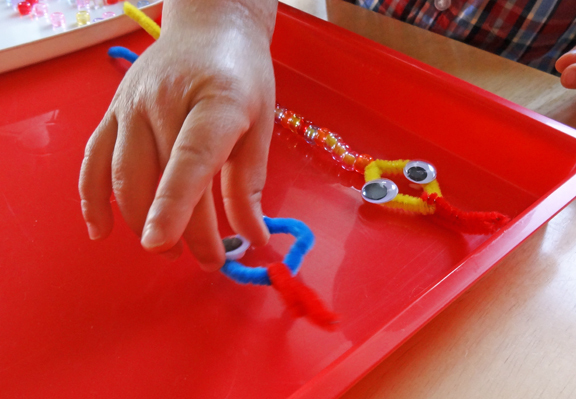 Super cute snakes and such great for fine motor skills! 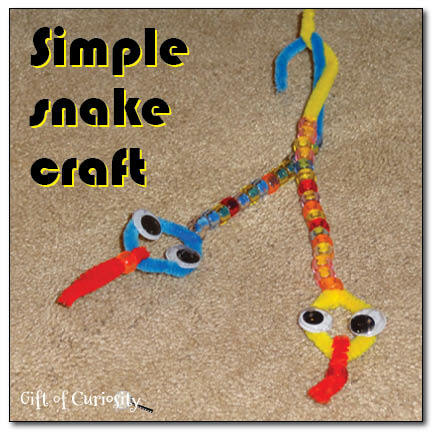 Thanks for featuring our snake craft! Very cute!! Thank you for sharing at Sharing Saturday! Thanks for sharing these on the Sunday Showcase. I featured them this week and shared them on our Pinterest board!